This 1.55 acre, 7 parcel assemblage included the demolition of multiple structures and upon reconfiguration, 2 parcels we created for Walgreens and the York County Federal Credit Union. During construction, a temporary operations trailer enabled the Credit Union to remain open. 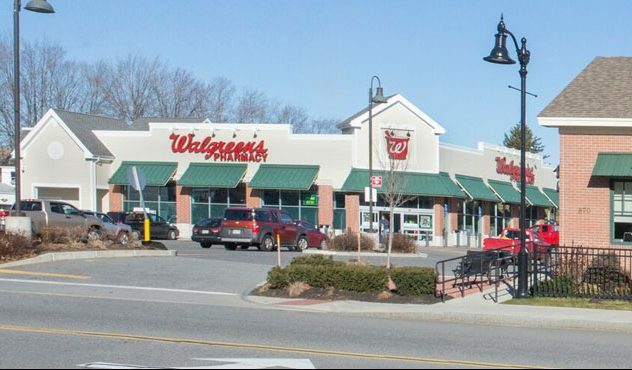 The property configuration presented a challenge and following numerous site plan iterations and working closely with the Town of Sanford, special zoning dispensation was received and the project was brought to fruition. Fronting on 3 streets, special architectural consideration was required by Walgreens. Lastly, approvals by Maine DOT was achieved.